For disabled or elderly people, getting in and out of the bath can be a difficult task. Some people struggle to lift their legs over the side of the bath, while others find it difficult to stand up from sitting down or to get out safely. Perhaps the slippery surface is just too dangerous for somebody with mobility or balance problems. If this is the case, it is time to look at the options that are available for disabled baths. Everybody wants to be able to stay hygienic and clean, so when a regular bath starts to get difficult to use, it is important to look for alternatives. The possibilities you consider will vary depending on factors such as whether you have assistance and how much support you need to bathe safely. Bath lifts: Bath lifts are placed within a regular bath and the individual sits on the lift, which then lowers them into the bath and, later, raises them out of it. They are most often suited to people who can sit on the side of the bath and raise their legs to get them over the bath rim. They do not require too much hassle or expense but will not be appropriate for every disabled or elderly person. 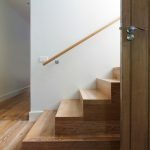 Bath lifts can be removable, which is ideal for homes where other people use the bath, too, or they can be fixed to the wall or the floor. Hoists for the bath are a solution that is perfect for many wheelchair users who would be unable to otherwise use a bath. They can be mechanical or powered and they include a seat attached to a column that enables the user to be lifted, moved and lowered into the bath. Mechanical hoists usually require somebody else to operate them, whereas powered hoists can be operated by the user or by a third party. Walk-in baths are specially adapted baths that have a door on the side so that a person can walk into the bath and walk out again afterwards. This avoids the problem of needing to lift your legs over the rim of the bath and helps to enable independence. The bath is empty when the user enters it and it is filled up once you are in place. After your bath is complete, you need to drain it completely before opening the door to avoid flooding. If you are able to climb in and out of the bath but would struggle to stand up from the usual bathing position, a bath seat can be an inexpensive and effective way of keeping clean. Positioned within the bath, the seat has sturdy, slip-free feet to avoid accidents and the user can use an over-bath shower or the bath itself. Swivel seats are another option – they are level with the top of the bath but can swivel round so that the user sits in it before they move their legs and feet into the bath. A similar solution to a bath seat, a bath board is a secure seat that lies flat across the top of the bath. 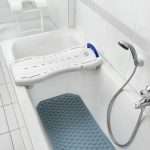 Perfect for people who are able to swing their legs over the side of the bath but not steady enough to remain standing, a bath board is another affordable solution. Grab rails are very useful pieces of equipment for around a disabled person’s home, and this includes in the bathroom. The grab rails are securely attached to the wall and can help somebody to get in and out of the bath because they have something safe to hold onto. This is just a selection of the options available for disabled people who want to continue to use their baths as normal. For inspiration, look at this Pinterest board, and seek advice from a physiotherapist or occupational therapist if you wanted tailored information about your own situation. Finally, don’t forget to look into disabled bathing aids to help you to get clean once you’re in the bathroom. Disabled shower: what are your options?